Having smashed Alexander Gustafsson to a third-round TKO victory in the main event of UFC 232 in late December, Jon Jones is once again the UFC light heavyweight champion. With the belt once again wrapped around his waist, Jones is now scheduled for a fight with Anthony Smith at UFC 235. If the champ clears that hurdle, he can look forward to more huge fights in the UFC light heavyweight division and beyond. 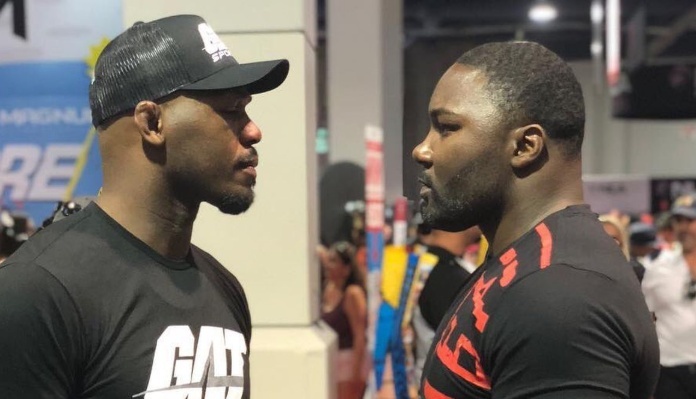 There is one potential Jones matchup, however, that is seemingly off the table: a fight with ostensibly retired light heavyweight knockout artist Anthony “Rumble” Johnson. Speaking on his podcast this week, UFC commentator Joe Rogan pined for a fight between Jon Jones and Anthony Johnson, naming it as a bout he wishes we could have seen. While Joe Rogan doesn’t seem optimistic that we’ll ever get to see Jones and Rumble fight, Rumble himself has left the door ever so slightly ajar to the matchup. “I talked to Rumble last week, right? 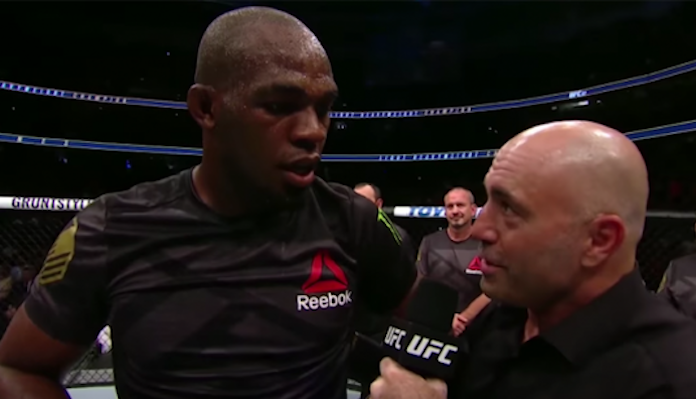 And he said if Jon Jones fought DC (Daniel Cormier) as a heavyweight, and if Jon wins, he wants to come back and this is the only fight he thinks he’d come back to fight, Jon Jones,” Rumble’s manager Ali Abdelaziz said on Ariel Helwani’s MMA Show recently. Do you think we’ll ever see Jon Jones and Anthony Johnson collide in the cage?